Shop Design TX | Shop Equipment | Shopfitting - Reeder Distributors, Inc. 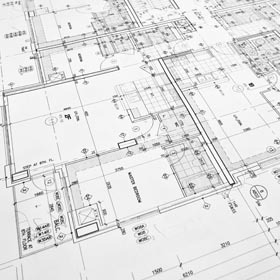 Whether you are building a new facility or remodeling an existing one, our unique concept-to-completion approach saves you time and money while ensuring a more productive design, a better-coordinated construction experience, and a totally integrated shop equipment and parts department implementation. That way, you can concentrate on what you do best – selling and servicing vehicles – while we concentrate on what we do best – handling all the aspects of your project’s details in the vehicle service and parts department area. We look at your project with a focused goal — maximizing space to enhance productivity and increase profitability. In the process, you get a highly efficient operation, an improved work environment, and equipment systems that perform with your facility’s design and specification. We not only help build your facility – we help build your business. Ensuring that the best equipment solutions are integrated with your facility is what separates Reeder Distributors from all others. We are true product specialists in our field and represent only leading manufacturers with proven track histories of products and performance. After the sale, service and continued extended warranty support guarantees your investment and satisfaction. As the owner of your auto shop, the one thing that you want to ensure is that it is run efficiently and organized in a manner that makes it easy to get work done. The team at Reeders Distributors, Inc. is dedicated to providing auto shops with an enjoyable experience when it comes time to update or design an auto body shop. If you’re interested in the high-quality design services that we offer, keep reading. Here are a few of the things that you need to take into consideration as you go about designing your auto shop. For starters, you’re going to want to consider the amount of space that you actually have available. Limited space is one of the most common problems that we come across when working on auto body shops, and it’s important to know what space you have available before you go dreaming up ideas that are unrealistic. It goes without saying that one of the first things we hear when discussing auto shop layouts is that we need to find a way to fit the maximum amount of vehicles in the shop. While that’s definitely an ideal outcome, there is so much that goes into the layout of an auto body shop that you need to be conscious of the space that is available. Think about your shop now, there’s so much more than just cars that go in there, right? These are all things that we need to factor in also, so the more specific that you can be with the available space, the more accurate and effective our auto shop layout will be. Every auto body shop is different, and so are their needs. You are the only one that is going to know the needs of your auto body shop, and it’s important that you communicate those needs to us. We always suggest sitting down and determining what your needs are prior to starting the process of designing your auto body shop. By providing us with a list of your needs, we know what requirements need to be met as we go about creating the design for your auto body shop. This could range from storage space, the number of workstations, or the expectations of the layout itself. At the end of the day, we hope to meet all of your requirements so that you have everything that you need in the auto body shop that we design. As we just mentioned, there are a lot of small details that go into designing an auto body shop, and those are things that you’re going to want to take into consideration before the shop has even been designed. For starters, there is a lot of equipment and tools that are going to take up space, and they too need to be accounted for when we begin the auto shop design. If there are certain pieces of equipment that you’re aware will be going into the auto shop, write them down with their sizes so that you know what you need to account for in the layout. 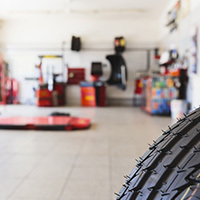 These small details can make a huge difference in the layout of your auto shop. Tools and equipment aren’t the only things that you need to take into consideration, however. Storage is a significant factor that people overlook when considering the details of their auto body shop. Our team focuses heavily on the details of the auto body shops that we design, and it shows in the layouts that we create. You will be able to enjoy a functional auto body shop that helps your team be as efficient in their day-to-day activities. This is something that we strive to provide, and the details are what make it possible. If you’re not entirely sure what you want your auto body shop to look like, you can always ask for help from the team at Reeders Distributors, Inc. We have been fortunate enough to design and build countless auto body shops here in Texas. Contact us today if you’re interested in learning more about our shop design services or what we would suggest as a shop layout design for your auto body business.